In Vestmannaeyjar there is many different attractions, some for everyone. All of the attractions are located next to our hotel, and we will happily help you. 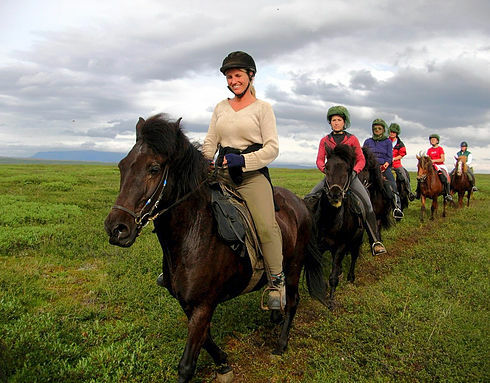 Guided horse riding tours around Westman Islands – Vestmannaeyjar where you will get to know the world known Icelandic horse. We start at our horse stable Lyngfell in Heimaey /Vestmannaeyjar /Westman Islands. We will be riding by the seaside to Klauf, a beutiful black beach and then to Brimurd and then up a hill to Lyngfellisdalur and we will check out historic sites from the Pirate raid in 1627 and we will experience fantastic view over the islands around Heimaey and we will see the famous glacier Eyjafjallajokull that erupted few years ago. From there we ride back to Lyngfell our horse stable. Puffin and Volcano Tour is our most popular tour for those who are here one day. We start by going to sprangan, where our local guide will show you his amazing skills. Spranga is like swinging in rope on the cliff. 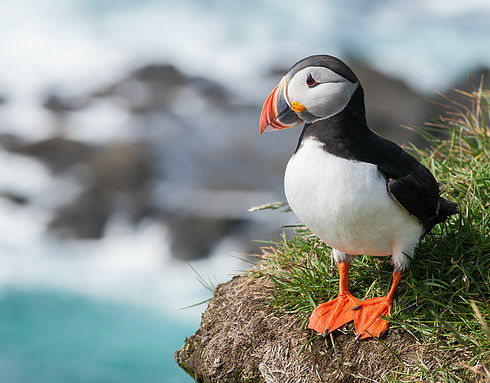 In this tour we will go to Herjolfsdalur and Stórhofdi (the windiest place in Europe) to see our amazing puffin colony. We will also drive in the middle of Eldfell the volcano where the eruption started. Ending this tour in our local Aquarium (Sæheimar), where you will get to see (among other things) Toti alive puffin, you might get to hold him and pet him if you choose. This tour takes about 90 – 120 minutes. 5 magnificent caves and the biggest elephant head in the world. This tour is for nature explorers and gives you endless photo opportunities. 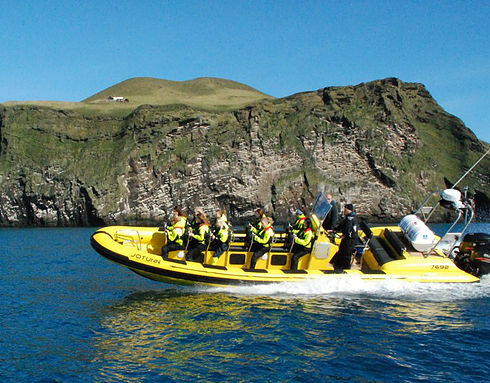 Some people say that this is the coolest way to see the birds and caves of the Westman Islands – racing on the waves at high speeds. You will be entering some of the beautiful caves from the sea, you may expect to see a lot of gulls (all year) ,puffins (may-sept), orcas/ killer whales (July) or sometimes other whales (the whole year). The tour is with a specialized guide who is knowledgeable about the Westman Islands and cautious about safety. The tour is taken on a very powerful Rib boat and it takes you to explore 5 sea caves, sail around the small islands. You can expect to see lot of birds and sometimes even whales. This trip will get your adrenalin running. 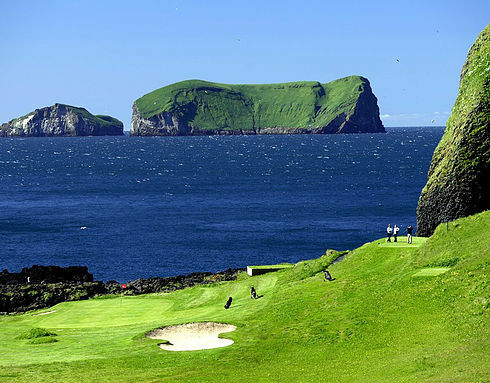 The Westman Islands golf course is considered to be one of 200 best golf courses in Europe. The golf course layout and scenery is unlike any other. If you play golf you can´t miss out on this extraordinary experience. Golf clubs and carts available for rent at the clubhouse.